Parga. 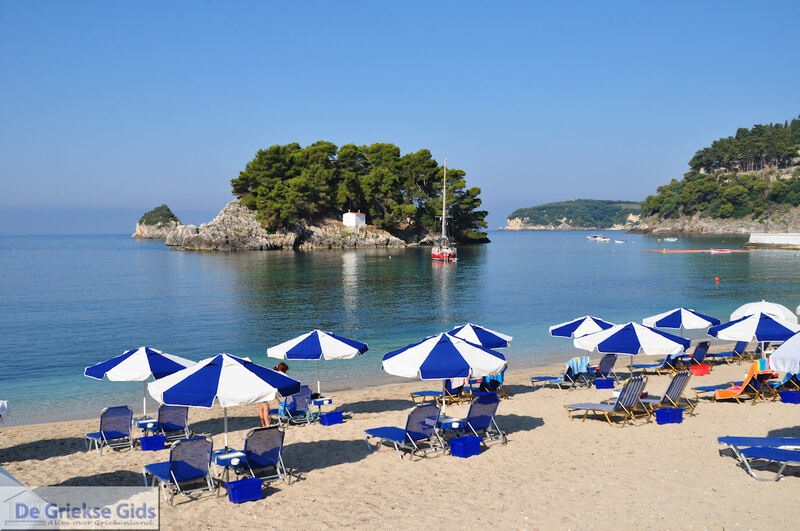 Parga is perhaps the nicest holiday resort of Epirus. Although the tourist influence is noticeable in this picturesque town, Parga continues to radiate something special. It's cozy and atmospheric. 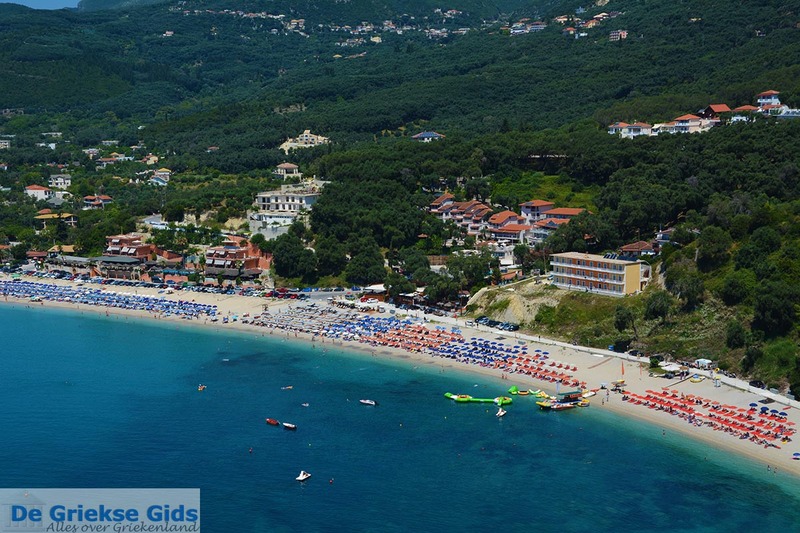 Parga is built next to the sea and on the slopes of a small hill. The view from the top of the hills is enchanted. 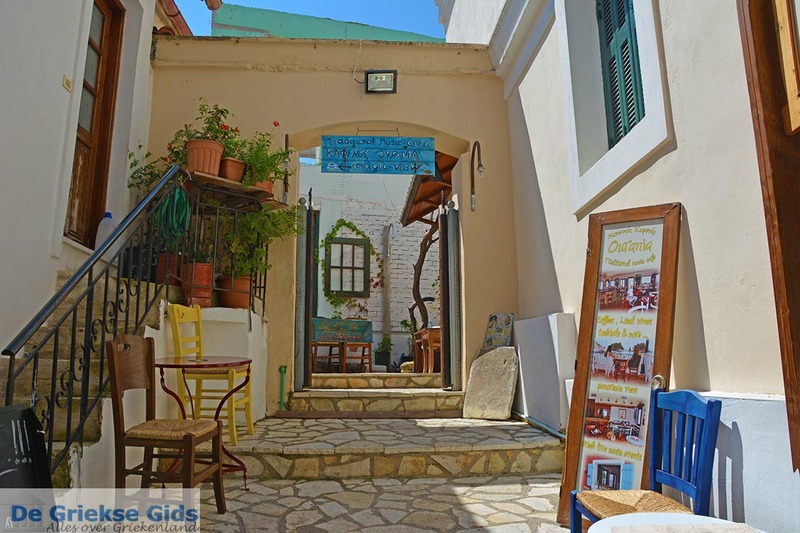 The cafes are cozy and there are many small, quaint shops and a walk through the narrow alleys is great. Everywhere you see typical Venetian houses. 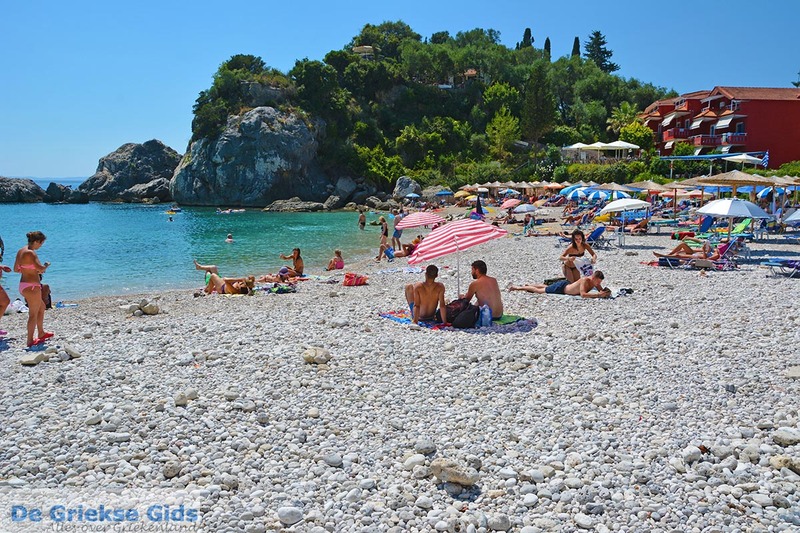 The beaches of Parga are very nice and clean. 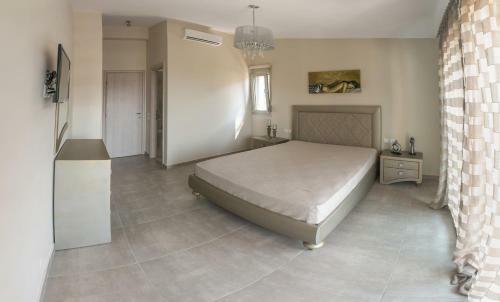 There are many hotels and accommodations, but in high season not enough to welcome all tourists. Parga lies on the northwest coast of Greece. It is located not far from the Albanian border. 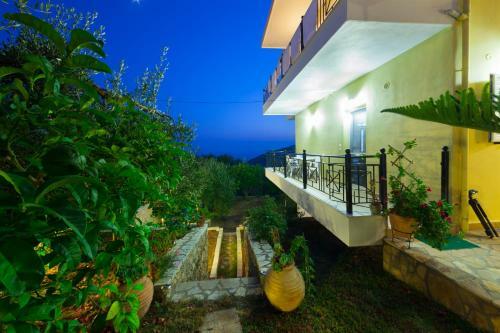 It lies opposite the beautiful island of Corfu and the Paxos islands. 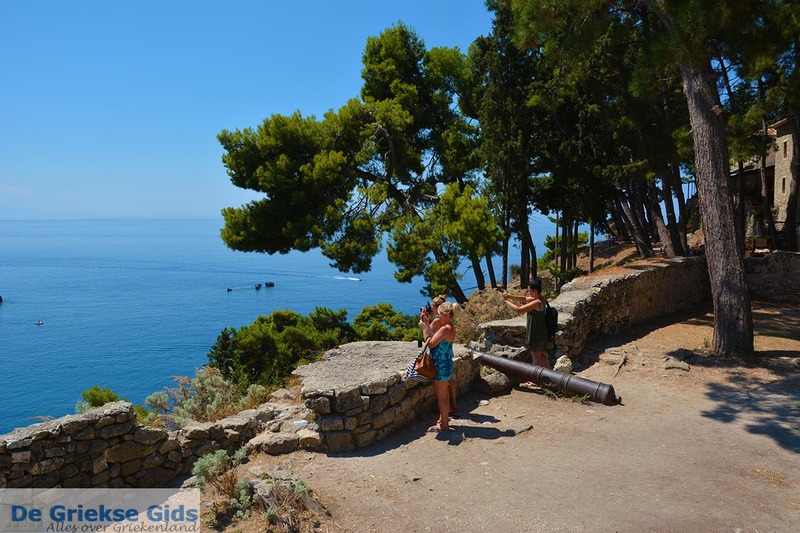 Parga is visited daily by day-trippers from several islands (even from Lefkada). On the hinterland you will see much greenery, thanks to natural resources. In the evening and night Parga is very cozy and very lively. During the day you can visit several beautiful beaches or the nature and the mountains in the inland. When staying in Parga, you can make trips to the beautiful Zagoria region in the mountains of Epirus. 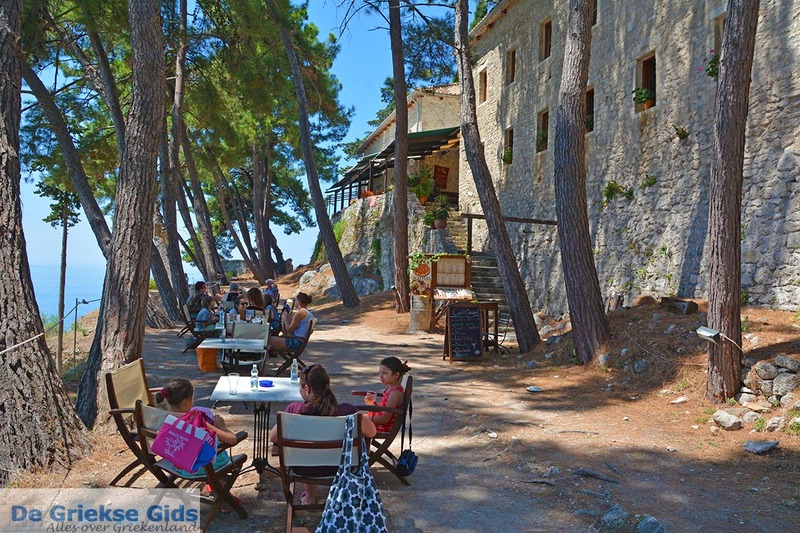 Not far from Parga, you will find several traditional villages where you can taste the real Greek atmosphere. The locals in these villages are very welcoming and always ready for a chat! 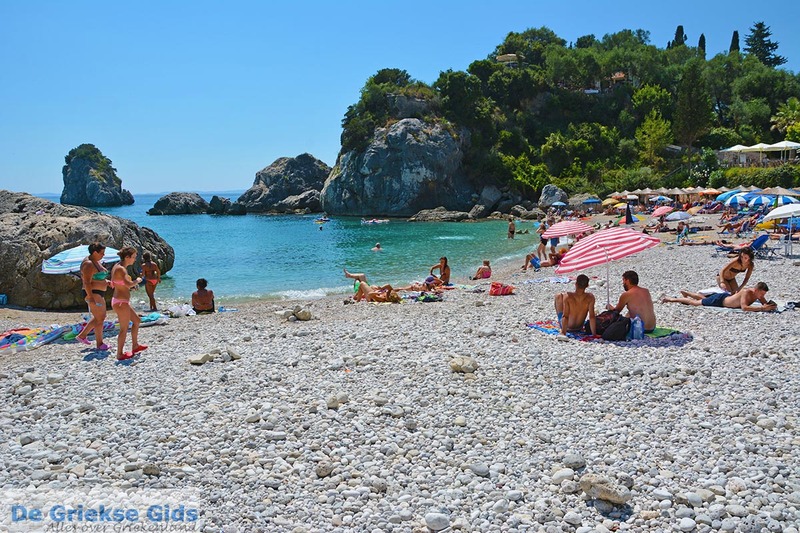 Two beaches are located in Parga. The beaches Krioneri and Piso Krioneri. Krioneri beach is a sheltered beach nearby an islet. Krioneri beach is a coarse sandy beach which lies on a bay. From May to mid-October you can rent beach beds, umbrellas, use showers, and find a bar-restaurant and a playground. Piso Krioneri beach is totally sheltered by the rocks in the water. The Piso Krioneri beach is composed of fine gravel and pebbles and offers from May to mid-October beach beds and umbrellas. Also there is a bar-restaurant. Both are great places to swim quietly. Not far from Parga is Valtos. Here is a long and wide sandy beach where many water sports are possible such as parasailing, banana boat and water skiing. Near the beach are several cafes and restaurants. The Valtos beach is composed of sand, gravel and pebbles. On the west side there is a small marina and a chapel on the beach. From May to mid-October there are sun beds, umbrellas, showers, changing rooms and bars. 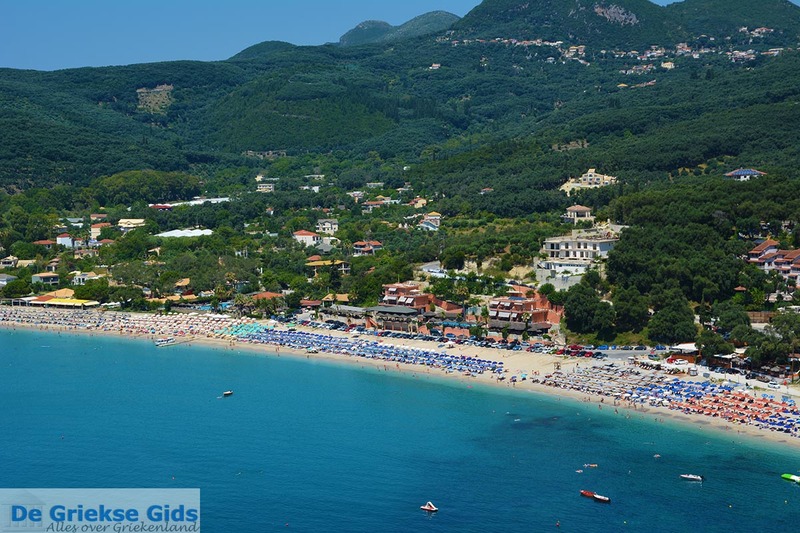 From Valtos, Parga is very easy to reach, either by foot or by water taxi. 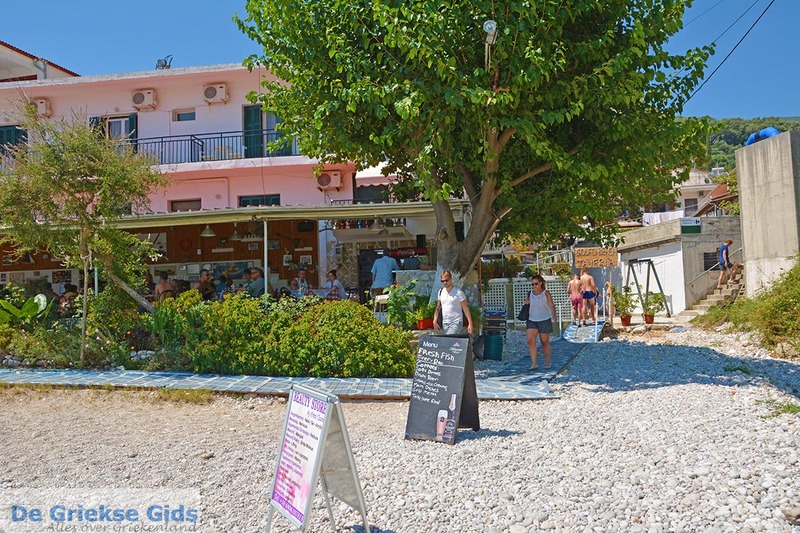 Diving schools are located In Parga, and sailing and windsurfing are also possible. Further options: jet skis, canoes, parasailing, ringo riding, pedal boats, water skis. 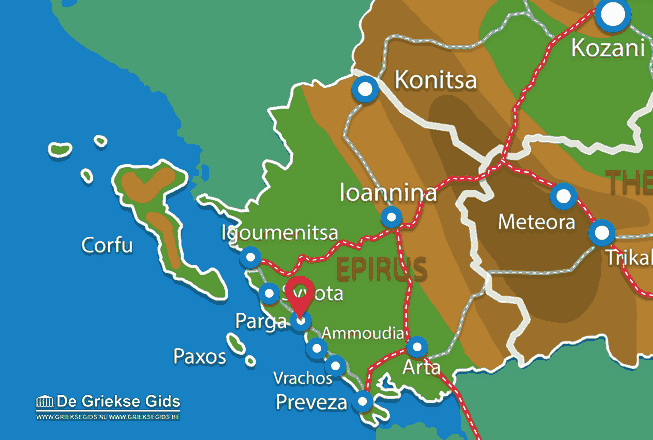 Preveza: Where on the map is Parga located?